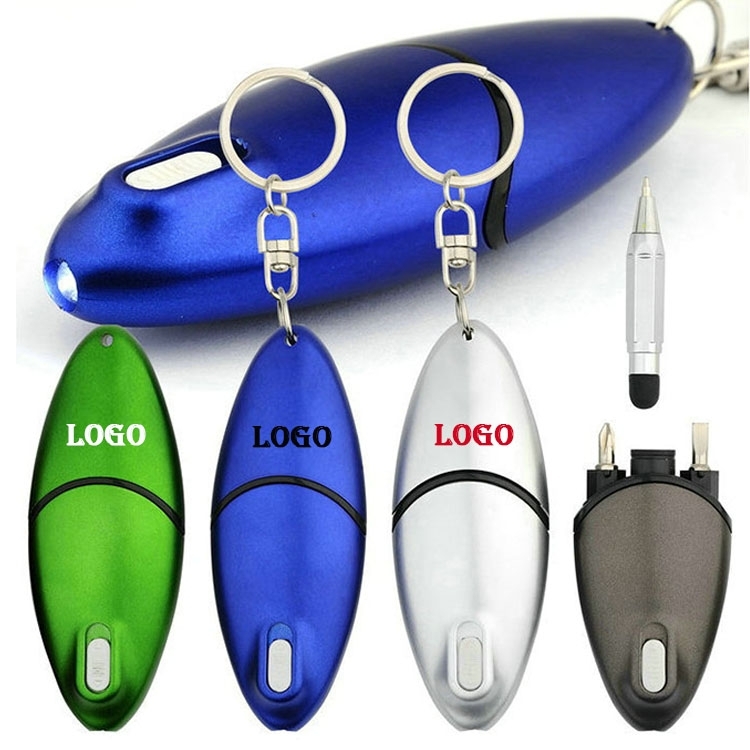 Multifunctional novelty LED ballpoint ball point pen with screw driver and a metal ring is very convenient to carry around. You can hang it on your key chain, or you just put it in your pocket/pouch/bag. Plastic material makes it light weighted and portable. A novelty ballpoint pen is good for signature and keeping a note. It is a perfect giveaway gift for friends, co-workers, staffs and proper to be used widely at school, in office, or for company promotion. Various Logo are Welocome.